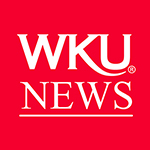 Rafe Esquith, author of Teach Like Your Hair’s on Fire, will visit WKU on Nov. 8 as part of the Mary E. Hensley Lecture Series. Esquith’s lecture will begin at 7 p.m. at Van Meter Hall. The lecture is free and open to the public. Books will be available for purchase, and a book signing will be held after the presentation. 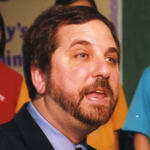 Esquith is a recipient of the National Teacher of the Year Award and is the only teacher to be awarded the president’s National Medal of the Arts. A once-in-a-lifetime educator, Esquith has been called “a modern day Thoreau” by Newsday, “a genius and a saint” by The New York Times, and “the most interesting and influential classroom teacher in the country” by The Washington Post. For the past two decades, Esquith has taught fifth-graders at a public school in a Los Angeles neighborhood plagued by guns, gangs and violence. His exceptional classroom at Hobart Elementary – known simply as Room 56 – is unlike any other in the country. Esquith’s students are mostly immigrants or children of immigrants, living in poverty, and learning English as a second language. Yet, under his tutelage, they voluntarily come to class at 6:30 in the morning and often stay until 5 in the afternoon. They learn math, reading and science. But they also play Vivaldi, perform Shakespeare, often score in the top 1 percent on standardized tests, and go on to attend the best universities. He and his students were featured in the PBS documentary, The Hobart Shakespeareans. 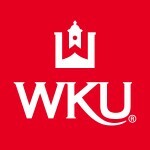 Esquith’s presentation, hosted by WKU’s College of Education and Behavioral Sciences, is a SEAT-eligible (Student Engagement Activities Transcript) event for WKU students. Contact: Cathie Bryant, (270) 745-4664.